The Assn. of International Metallizers, Coaters and Laminators (AIMCAL) bestowed its Product of the Year Award* on Graphic Packaging International, Inc., Atlanta, GA, for a microwaveable bacon package for Embotits Espina, a 102-year-old maker of cold cuts headquartered in Vic, Spain. The award was presented today during AIMCAL’s annual Management Meeting at Rancho Las Palmas in Rancho Mirage, CA. 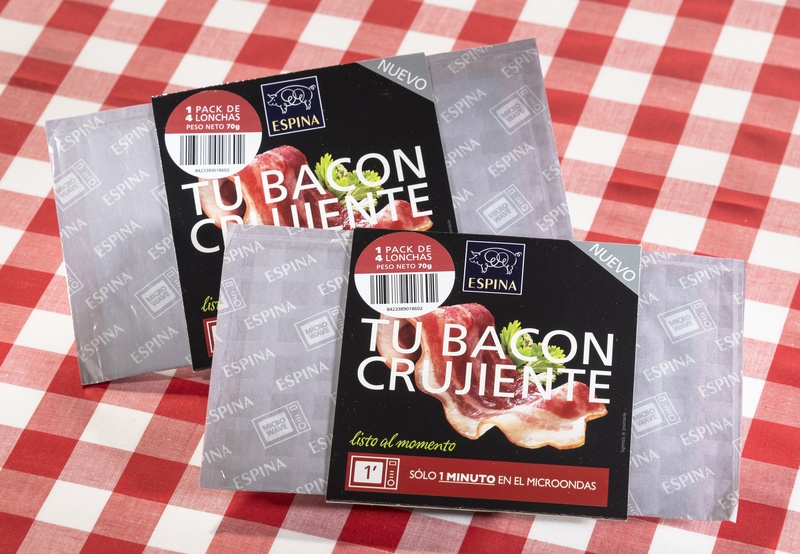 Graphic Packaging served as converter and metallizer for the Bacon Microondas Espina pack and assisted with its design. Graphic Packaging’s microwaveable QuiltWave susceptor rollstock consists of a dual lamination of polyethylene terephthalate (PET)/paper/patterned susceptor-metallized PET. A printed paperboard sleeve provides brand identity and product information, but is removed prior to microwaving. During the one-min cooking period, the cells created by the pattern in the QuiltWave susceptor inflate to contact the four thin slices of bacon and cook it to the desired crispness. Vacuum packaging occurs on flowwrapping equipment. Judges liked this product’s combination of consumer convenience, eye-catching appearance and functionality. “Making crispy bacon in the microwave is new for the marketplace,” commented one judge. “This pack is definitely an extension of susceptor technology,” agreed another. Judges for the Vacuum Metallized or Coated Product Competition also awarded several Marketing and Technical Awards. The Marketing Award in the Food Packaging Category went to Graphic Packaging’s Consumer Products Div. 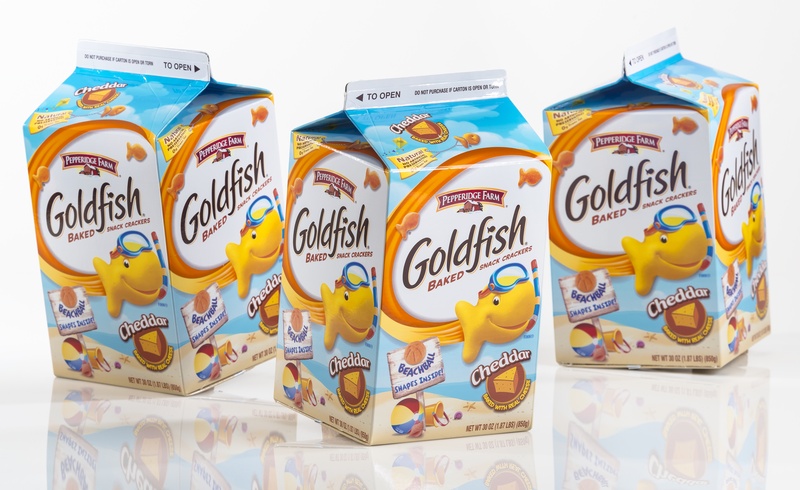 in Lawrenceburg, TN, for a 30-oz “Finn at the Beach” gabletop carton for Goldfish crackers from Pepperidge Farm, Norwalk, CT. Graphic Packaging supplies the metallized layer and converts the reclosable carton from 0.019-in. milk carton stock from Evergreen Paperboard, Memphis, TN. 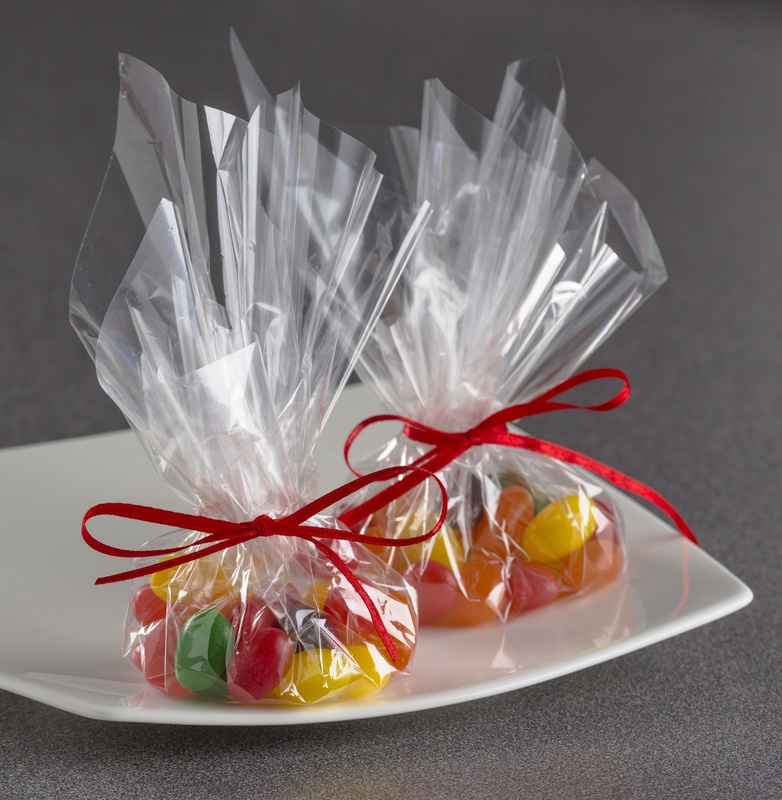 The resulting heat-sealable structure – reverse rotogravure-printed PET/PE/paperboard/PE/metallized PET/PE – provides high-gloss, vivid graphics and barrier properties, and eliminates the need for inner bags or hot melt sealing. A pattern-coated silicone release agent along the top edge makes it possible to pull the gabletop open. 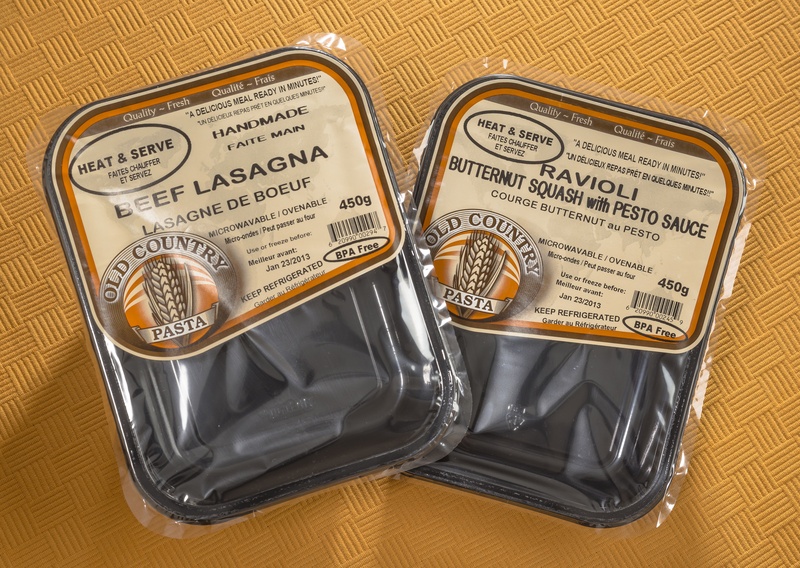 The Technical Award in the Food Packaging Category was presented to Camvac Limited, Thetford, UK, for its ExtraPET transparent barrier lidstock for refrigerated, heat-and-eat meals from Old Country Pasta, Port Coquitlam, BC, Canada. Camvac deposits a sub-micron layer of aluminum oxide on polyester film from DuPont Teijin Films, Dumfries, UK. This barrier material is then adhesive-laminated to Mylar 850 heat-sealable polyester film. Celplast Packaging Systems, Toronto, ON, Canada, serves as the converter. Lidstock seals to a crystallized PET tray. A pressure-sensitive label provides branding and product information. Judges thought the combination of clarity, barrier and shelf life protection was noteworthy. “I like the idea that I can see the product I’m grabbing for a quick lunch,” said one judge. “This material offers higher barrier properties than other clear barrier structures,” noted another member of the panel. 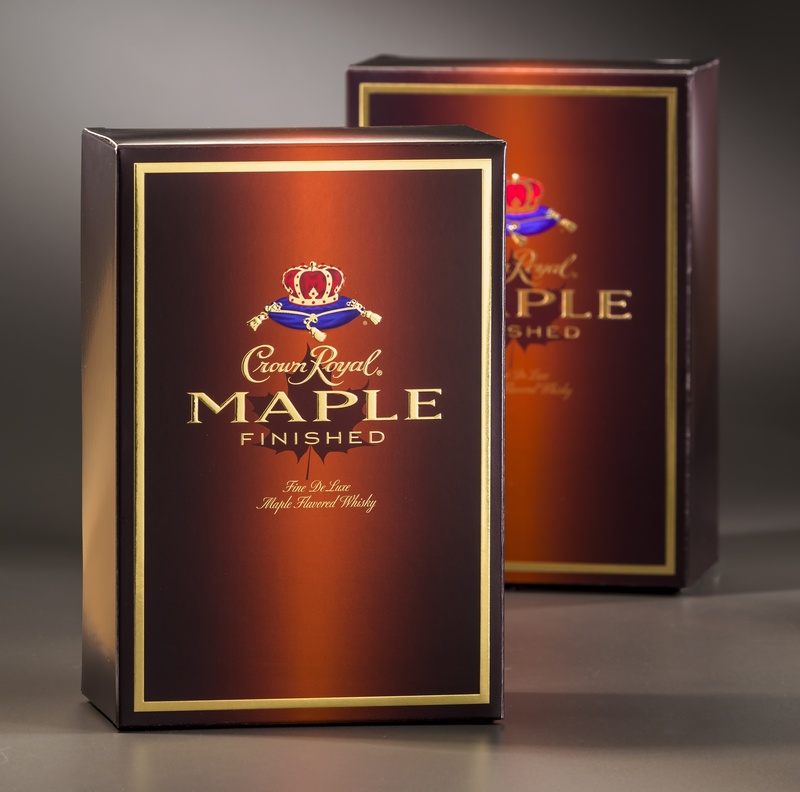 In the Nonfood Packaging Category, judges bestowed a Marketing Award on Unifoil Corp., Fairfield, NJ, for a folding carton for Crown Royal Maple Finished Whiskey from Diageo PLC, Norwalk, CT. The design maintains the Crown Royal family look for this line extension, while the metallized gold interior reflects the maple flavor of the whiskey. Unifoil converted the UniLustre substrate, a coated-one-side 28-point solid bleached sulfate (SBS), which is acrylic-coated and metallized in silver and gold. Metallizing credits go to Toray Plastics (America), Inc., Kingstown, RI. Hub Folding Box, Mansfield, MA, served as contract packager. The judges pronounced the carton “gorgeous” and noted the heavy paperboard supports the product’s upscale image and the 1-liter glass bottle inside, while the metallization and deep warm colors provide a sumptuous feel evocative of the maple syrup that flavors the whiskey. In the Healthcare, Toiletries and Cosmetics Packaging Category, Hazen Paper Co., Holyoke, MA, took home the Marketing Award for set-up cartons for holiday gift boxes for Red Door, Pretty, Prevage and 5th Avenue brand products from Elizabeth Arden, New York. Hazen supplied the substrate, metallized the acrylic-coated Hazen Holographic 2D/3D Lens 60-gauge polyester/coated-one-side 80-pound litho paper, and shared converting duties with PrintaFoil Prestige Printing and Packaging, Cape Town, South Africa. The combination of three optical elements, 2D, 3D and Lens, is a relatively new holographic technique and produces a pattern with a high degree of movement that’s eye-catching even from side angles. 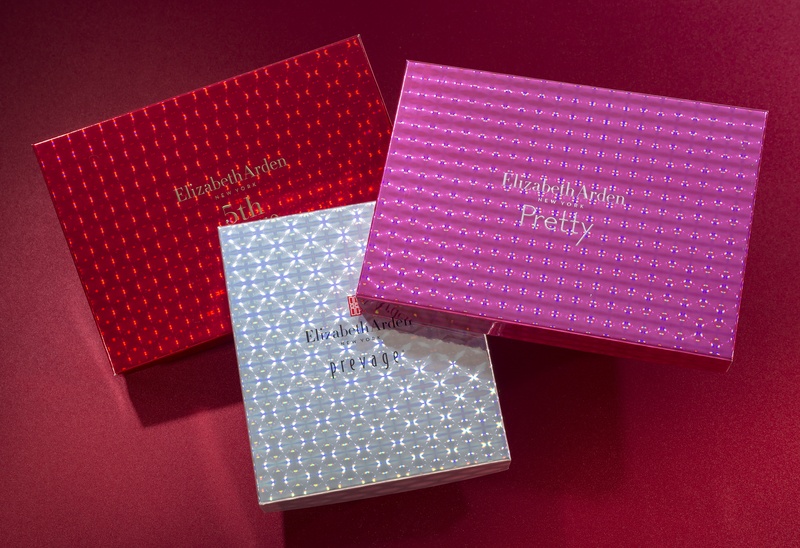 The pattern also provides a family look for the various Elizabeth Arden products. Design and contract packaging duties were performed by Cultech Groupe Autajon, South Plainfield, NJ. The judging panel was impressed by the three-dimensional effect of the holographic pattern. “It’s seems as if you could reach through the first layer to the second,” commented one judge. “This dimensionality would really encourage people to pick up the box and buy it,” said another member of the panel. 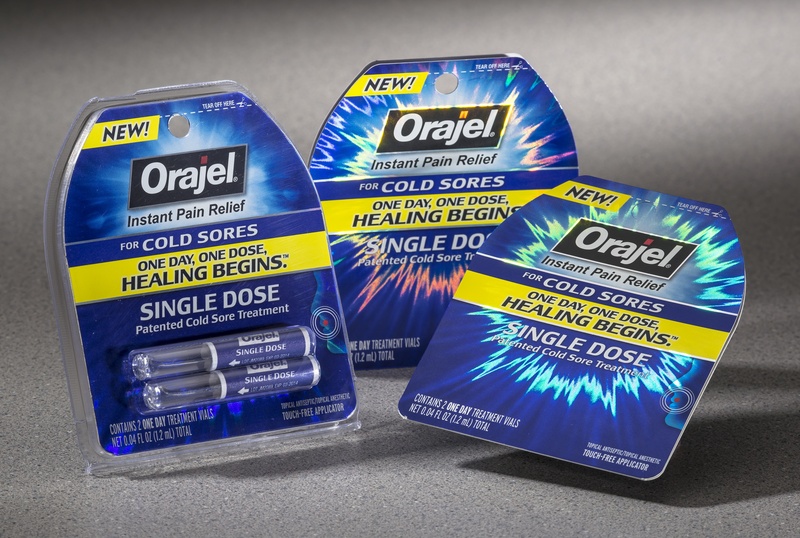 Hazen Paper also took home an Honorable Mention in this category for a holographic fold-over blister card for tubes of Orajel Instant Pain Relief from Church & Dwight Co., Inc., Princeton, NJ. Hazen supplied and metallized the acrylic-coated 60-gauge Ultracure/coated-one-side 0.012-in. SBS, which is converted by AGI-Shorewood Packaging, Indianapolis. Graphics are printed in register with the custom hologram (Hazen Pattern #1280 version A 12-02-11). Twenty-four cards are produced per sheet. Although widely seen on toothpaste packaging, holography is not common in the pain relief segment of the dental care category. Judges not only found the blister concept appealing, but also liked seeing the use of metallizing expanding beyond toothpaste packaging. In the Label: Retail Category, Super Film Ambalaj San. Tic. A.A., Gaziantep, Turkey, took home the Technical Award for metallization of an 85-micron biaxially oriented polypropylene (BOPP) film for cut-and-stack labels converted by Webtech, Enniskillen, Northern Ireland. The metallized Supmet 1132 CLC BOPP is a white, opaque, cavitated film with no curl. The metallized side is top-coated for adhesion of gravure, offset or ultraviolet flexographic inks and to protect the surface from scratches and wrinkles; while the other side is coated to be receptive to wet/cold glue and to expedite adhesive drying time. Targeted as a replacement for metallized paper labels, the metallized BOPP provides water resistance, superior durability, low density and high yield. The judges noted curl can be a major problem with label substrates, especially for cut-and-stack applications. This material is noteworthy because it lays flat for good machinability and is compatible with several printing technologies. Hazen Paper earned the Marketing Award in the Decorative/Display Category for its role as metallizer and substrate supplier for the DVD case for Finding Nemo, a movie released by Disney Pixar, Burbank, CA. 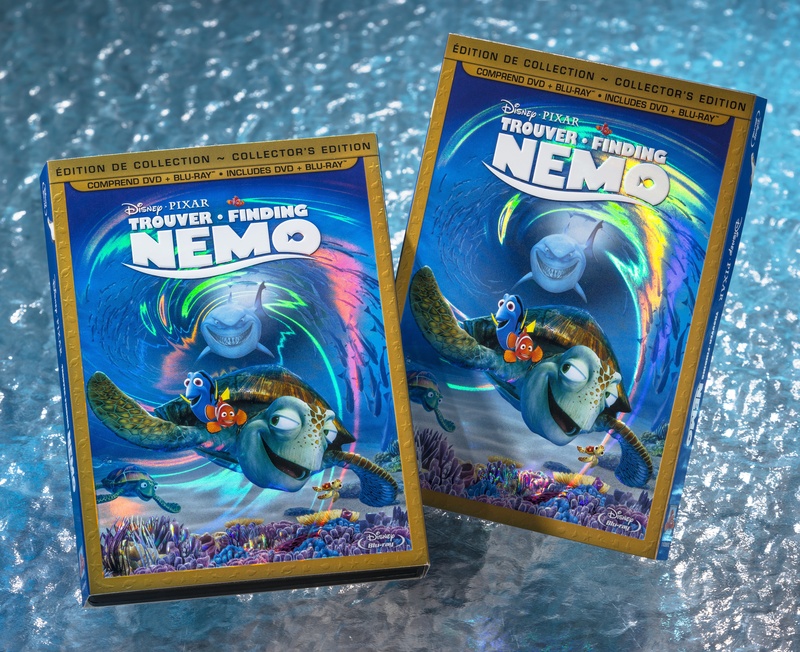 The structure consists of Ultracure acrylic-coated holographic film with Hazen Custom Pattern #1398 Finding Nemo – DVD Combo Wave with Rainbow Border 07-19-12 laminated to coated-one-side 0.016-in. SBS. The judges described the DVD case as “most appealing” and agreed the project required maximum attention to detail to successfully execute the tight registration needed to precisely align graphic elements, embossing and holography. In the Industrial Category, the Technical Award was given to Technical Coating International, Inc., Leland, NC, the converter of metallized polyester/low-density polyethylene for the patent-pending Microfoam Pallet Cover from Alpine Thermal Technologies, Moon Township, PA. The lamination is produced via a direct gravure process. 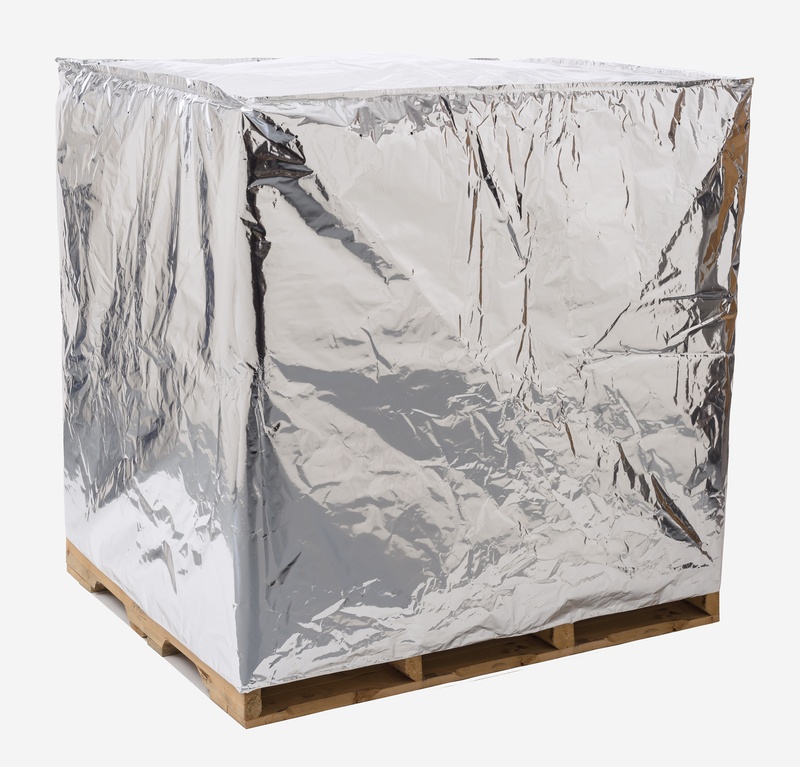 The metallized material’s moisture and thermal properties allow Alpine to replace conventional two-piece foil/bubble wrap systems or quilted fabrics with a one-piece insulating shroud. The pallet cover makes it possible to ship frozen and refrigerated product in the same trailer, eliminating the need for separate trailers. FilmTech, Bean Station, TN, metallizes the polyester. Substrate supplier is Dana Films, Westborough, MA. A Velcro EZ Access option provides easy opening/reclosure. Judges recognized several attributes of the metallized material: its insulating properties; the flexibility it offers shippers; and its potential for improving sustainability by reducing the number of trucks needed. 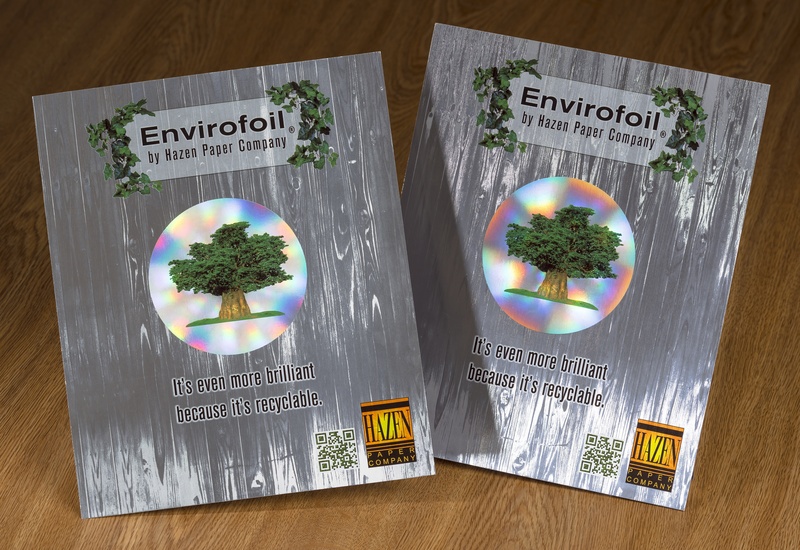 In the Other Category, Hazen Paper captured the Marketing Award for the magazine insert it designed, metallized and converted to show off its Envirofoil material. The transfer-metallized, coated-two-side 10-pt SBS features custom holography, combining White Motion and Hold-Lens images. It also showcases the recyclability of the metallized material, which uses 95 percent less metal than metallized inks. The insert ranks as the best-received design in the company’s history. The panel of judges applauded the combination of striking appearance and sustainable features. 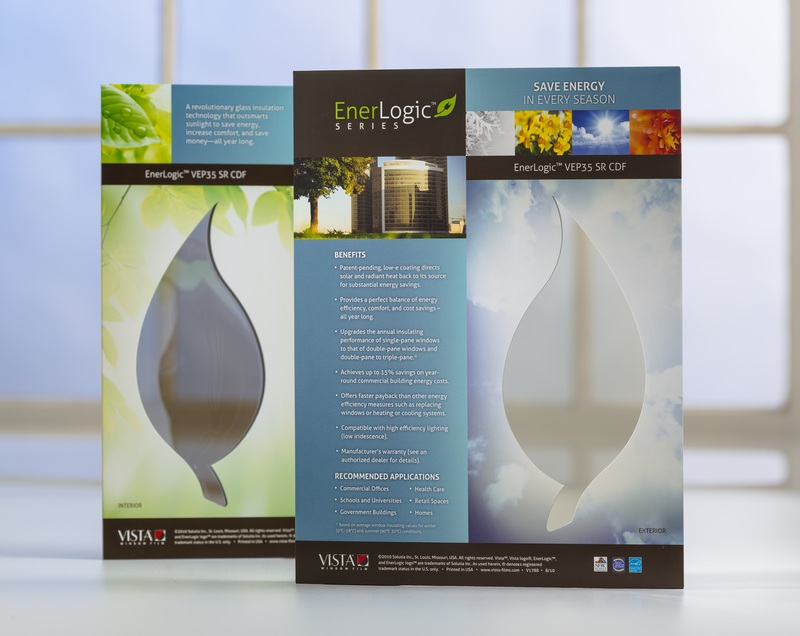 The Technical Award in the Other Category went to EnerLogic VEP35 Low-E Window Film from Solutia, an Eastman Chemical Co. subsidiary in Fieldale, VA, which also took home the AIMCAL Technology of the Year Award. The patent-pending low-emissivity window film delivers an emissivity rating of 0.07, a substantial improvement over the 0.33 level of the next best performing low-e film. The low-e structure maximizes energy savings by reflecting heat from the sun in the summer and directing radiant heat back into the room during the winter. As a result, applying the film boosts insulating ability equal to adding a pane of glass at a fraction of the cost of a replacement window. In fact, the film delivers 92 percent more insulating performance as measured by center-of-glass R value. The 2-mil clear PET with ultraviolet absorbers and multiple coatings maintains flexibility, limits stress cracking, and prevents smudges and scratches. Return-on-investment for large commercial buildings averages 2.75 years and the material may qualify for energy rebates and favorable ratings from Green Building certification programs. With its combination of coating technologies and superior emissivity level, the judges characterized this window film as a technological breakthrough. AIMCAL also bestowed its 2013 Sustainability Award on Flex America Inc., Elizabethtown, KY, for its biaxially oriented polyethylene terephthalate (BOPET) film with 30 percent renewable content. Ordinarily, PET is made from a polymeric reaction of monoethylene glycol (MEG) and purified terephthalic acid derived from petrochemical-based feedstocks. However, FLEXPET™ Green PET Films rely on MEG made from bioethanol produced from plant-based inputs such as sugarcane. Destined primarily for packaging applications, FLEXPET Green PET Films are approved for direct food contact by the US Food and Drug Administration and regulators in Europe, exhibit the same functional properties as BOPET films made from conventional PET resin. 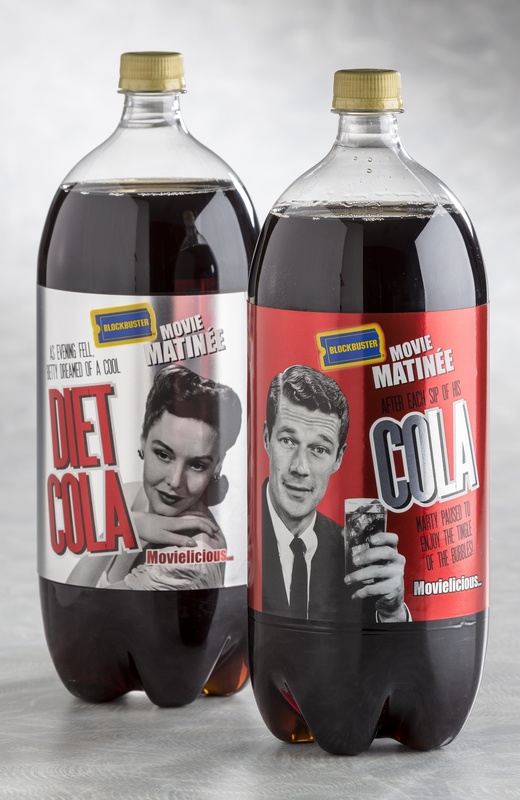 Flex America offers the films in a variety of widths and thicknesses, including a 12-micron grade that’s corona-treated on one side (shown). Judges were excited about replacing non-renewable content with renewable. “This material offers the potential for reducing carbon footprint issues,” noted one member of the panel. The Sustainability Competition recognizes equipment, materials or processes that reduce environmental impact, minimize energy usage or waste, and/or increase recycling. The judging panel for the 2013 Vacuum Metallized or Coated Product and Sustainability Competitions included Vince DiTrolio, vice president/owner of DiTrolio Flexographic Institute, Broadview, Illinois; Jeffrey T. Weber, research principal, Mondelez International Inc., (formerly Kraft Foods), Glenview, IL; Stan Kopecky, principal, SJK Packaging Associates, Prospect Heights, IL; Yolanda Simonsis, president/editorial director, Paper, Film & Foil Converter, Chicago; and Pat Reynolds, editor-in-chief, Packaging World magazine, Chicago. The judging session was co-hosted by Simonsis and Reynolds at Packaging World’s office. AIMCAL represents converters of metallized, coated, or laminated flexible substrates and their suppliers. The international nonprofit trade association also includes a CEMA Division focused on the interests of converting equipment manufacturers. The group is headquartered in Fort Mill, SC. Membership information is available online at www.aimcal.org. * The Vacuum Metallized or Coated Product of the Year Award honors the late Peter Rigney, former publisher of Paper, Film and Foil Converter and long-time champion of the competition, who passed away in 1997. This entry was posted in coating/laminating, flexible packaging, labels, paper/paperboard/cartons, sustainability and tagged bioplastics, boxes, cartons, converting, environment, flexible packaging, labels, packaging, paperboard packaging, plastic film, recycling, source reduction, sustainability, technology. Bookmark the permalink.